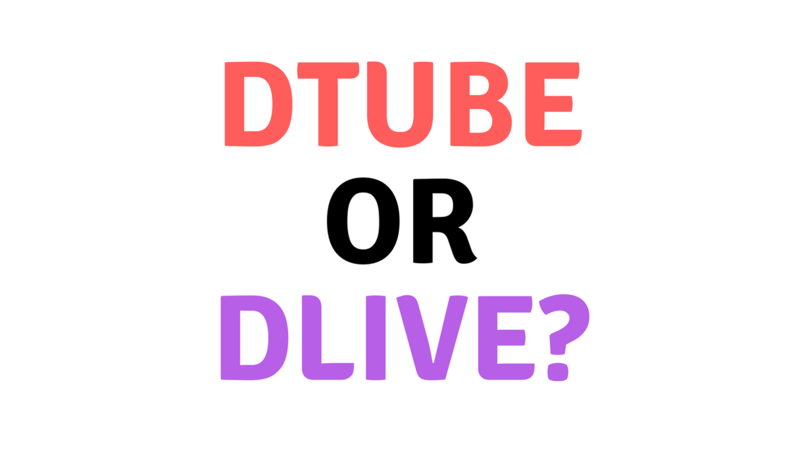 Dtube or Dlive? Which platform do you prefer? I would like to upload a series of videos tutorials I recorded, and I am curious if you prefer using dtube or dlive? I have read about the pro/cons of both platforms, but I am more interested in which platform offers the better user experience for watching videos. Any feedback would be greatly appreciated! I think the dube would be be better. Many browser faces problem on dlive. using Dtube will be better than dlive. that's my own opinion. Visiting rate is also dtube got upper hand on live. Que buen post me gusto, saludos.